Some have asked, is the Scout Law compatible with Orthodox Christianity and God's Law? Well besides the endorsements of Archbishop Demetrios of North and South America [READ HERE!] and Metropolitan Tikhon of All America and Canada [READ HERE! ], we should look at what Scouting teaches in the Scout Law and compare this to God's Laws from the Holy Bible. Lord Robert Baden-Powell, the founder of Scouting, once said, "There is no religious side to the movement; the whole of it is based on religion, that is on the realization and service of God." In keeping with that spirit, let’s consider how the Scout Law aligns with Holy Scripture. As always, New Testament verses come from The Orthodox New Testament Volume One: The Holy Gospels or Evangelistarion and Volume Two: Acts, Epistles, and Revelation or Praxapostolos. Psalms come from The Orthodox Psalter: The Psalterion According to the Seventy With the Nine Odes, And Patristic Commentary. Other Old Testament verses and proverbs come from The Douay-Rheims Version of The Holy Bible. I tried to use various verses of the Bible, as I could probably find all 12 points of the Scout Law in either The Epistle of Saint Paul to the Ephesians or in The General Epistles of Saint Peter in the New Testament and in either the Psalms or the Proverbs in the Old Testament. I also tried to use verses that mentioned multiple points of the Scout Law, when possible. 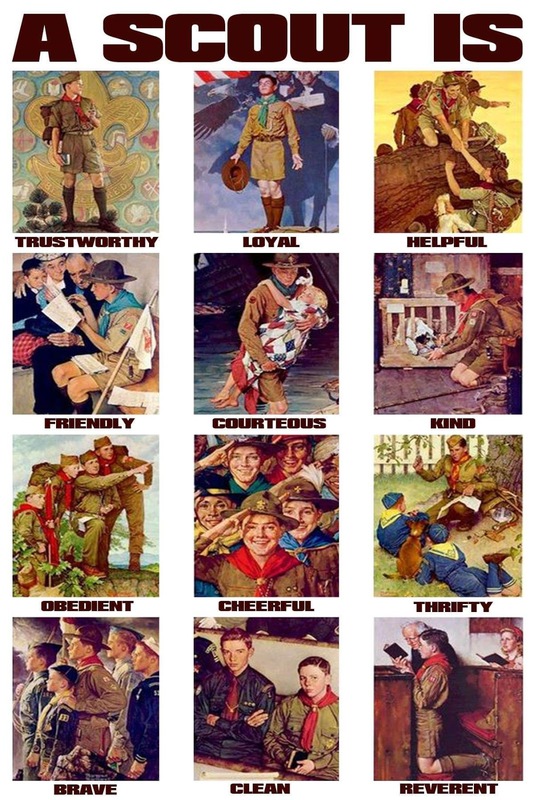 Point One: A Scout is trustworthy. Point Two: A Scout is loyal. Point Three: A Scout is helpful. Point Four: A Scout is friendly. Point Five: A Scout is courteous. Point Six: A Scout is kind. Point Seven: A Scout is obedient. Point Eight: A Scout is cheerful. Point Nine: A Scout is thrifty. Point Ten: A Scout is brave. Point Eleven: A Scout is clean. Point Twelve: A Scout is reverent. My son is a Scout selling popcorn to fund his pack's Cub Scouts camping trips if anyone would like to kindly assist him in this. You can order this week at this link: https://www.trails-end.com/store/scout/ZXPHQBKI Please be sure to use key code 3311354687 if it asks for one. Thank you in advance for your generosity!